I filled mine with Raspberry Jam and Orange Marmalade but you could use whatever preserve you like. I think Lemon curd or Nutella are a great alternative. What would you fill yours with? Cream together the butter and sugar until light and fluffy. Add the egg yolk, salt and vanilla extract and mix thoroughly. Then add the flour and mix until you have a soft smooth cookie dough. Take a tablespoon of the dough and roll into 1 inch balls and then roll each ball in the hazelnuts to coat them completely. 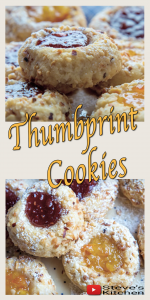 Place the ball onto a cookie sheet and using your thumb press gently to create a cavity for the Jam. Repeat steps 3-5 until you have formed all the cookies. 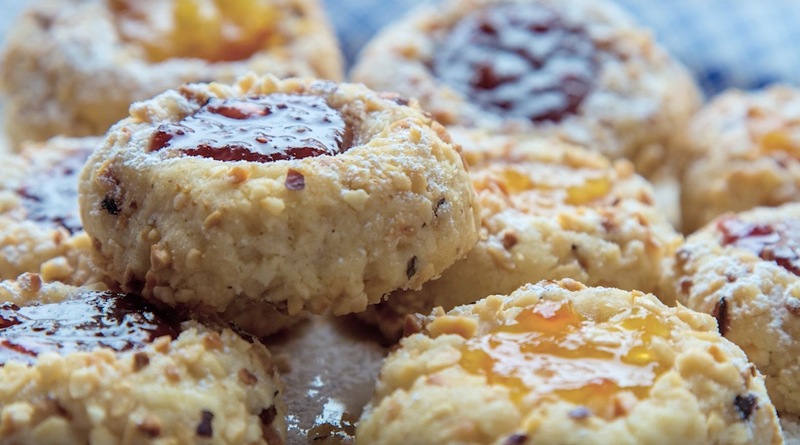 Place a teaspoon of jam into the centre of each cookie. Place in the fridge for 10 minutes just to chill a little. This helps the cookie to keep its shape. Preheat the oven to 180C / 350F and bake for 10-12 minutes until lightly golden brown.Remove from the oven and place on a cooling rack to cool. Remember the jam will be scalding hot so be careful. 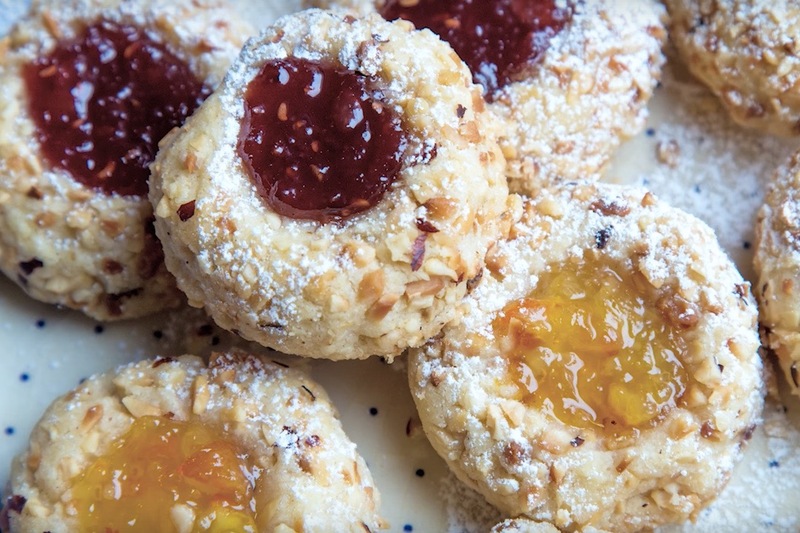 Once cooled dust with powdered sugar and your cookies are ready to be enjoyed.